Six Ways to Go Local this May! 1) Go a little bit wild! On May 4th Harrisonburg hosts the Wild and Scenic Film Festival at Court Square Theater. This spectacular series of environmental and adventure films informs audiences and inspires them to become active participants in protecting and preserving special places in the world. Ballou Studio and Gallery, located on North Main Street, will offer free beer, wine, and snacks from 4:30 to 6:30, before the show starts at 7:00. 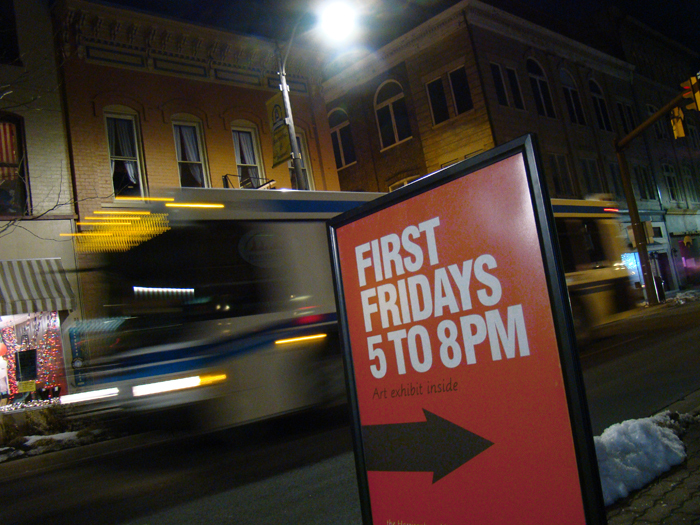 And remember that on the First Friday of every month you can stroll downtown and visit art galleries, hear live music, and enjoy other cultural events. 2) Celebrate National Bike Month. National Geographic Society named Harrisonburg as one of its “20 Best Mountain Bike Towns in America,” and Blue Ridge Outdoors calls it one of “Top 10 Blue Ridge Bike Towns.” Professional mountain biker and coach, Jeremiah Bishop, calls Harrisonburg home, and the city’s surrounding area has a thriving and unique bike culture with various levels of activity and well-worn trails and paths for everyone. 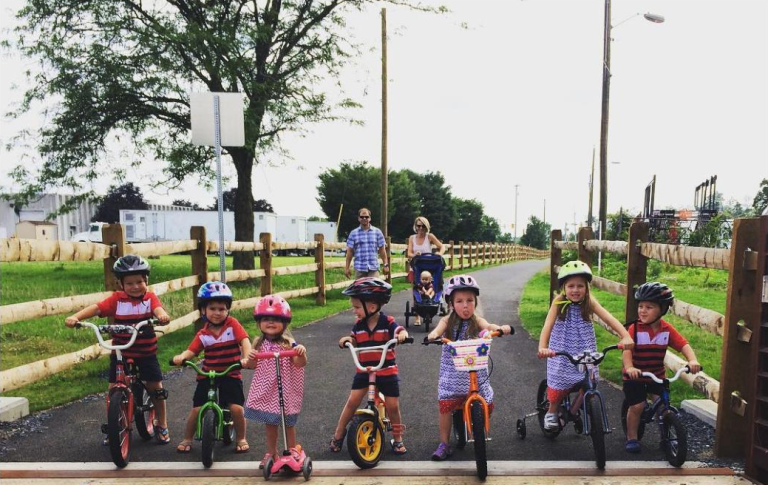 Check out the Shenandoah Valley Bicycle Coalition website for ways to celebrate all month, that range from a family-friendly “Ice Cream Ride” to Kline’s Dairy Bar to “Bike, Run, Sweat and Beers,” hosted by Brothers Craft Brewing. 3) Take a walk on the wild(flower) side. Look for mayapples, Jack-in-the-pulpits, trilliums and other spring flora during the 2018 Wildflower Weekend in Shenandoah National Park on May 5-6. Go on guided educational walks, learn about the history of the park, take a Botanical Art Workshop or learn how you can become part of the National Phenology Network, which tracks bloom times of plants for an online data base. Bird watchers will spy cerulean warblers and scarlet tanagers, and other spring migratory birds. Hiking and birding are two favorite activities of natives of the ‘Burg, and we hope you’ll join them! 4) Relive history. More battles in the Civil War were fought in Virginia than in any other state, and Harrisonburg saw some of the action from its front porch and in its backyard. The Hardesty Higgins House Visitor Center is a great place to find information about local historic events. Stop by and pick up their brochure, “Battles on the Home Front,” and take a self-guided tour that begins on Main Street, with various historical markers, and extends into the surrounding countryside. This year marks the 154th anniversary of the Battle of New Market, which took place on May 15, 1864, just up the road on Route 11. 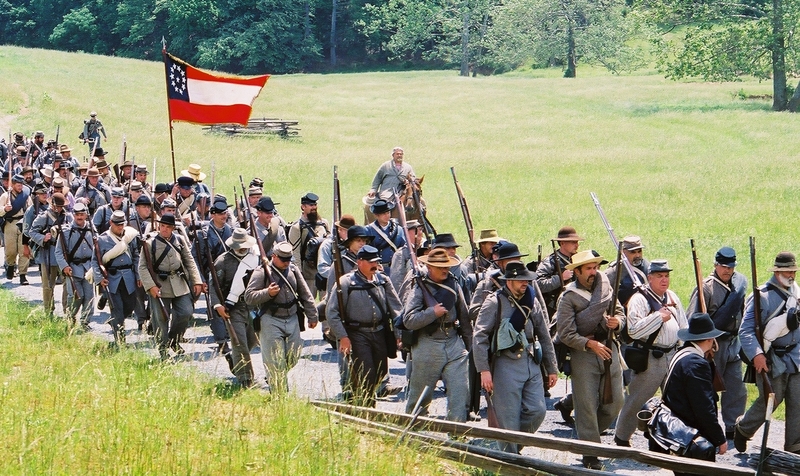 On May 19-20, historians from all over the country will stage a reenactment of that battle; this commemoration takes place annually on the original battlefield site and is the longest, continual reenactment in the United States. Besides watching the battle unfold, you can attend lectures and explore living history at nearby Bushong Farm, where civilians found safety during the battle. www.vmi.edu/museums-and-archives/virginia-museum-of-the-civil-war/events. 5) Remember your mom, or find family time. 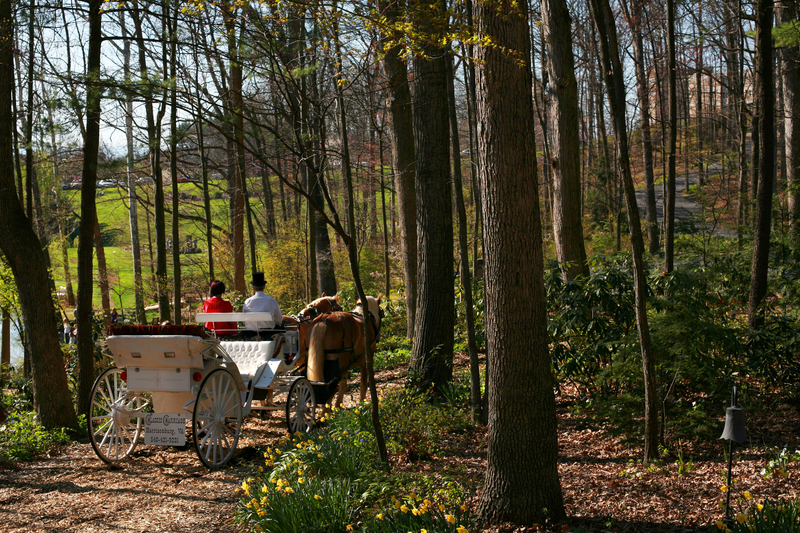 Think outside the gift box for Mother’s Day, and arrange for a carriage ride at the Edith J. Carrier Arboretum, or take your mom to a special tea at the Heritage Bakery & Café or Back on the Farm. Honor any special woman in your life, or just hang out with friends for brunch–from the funky (The Little Grill Collective or The Artful Dodger) to the fabulous (the Joshua Wilton House), from eclectic (Food.Bar.Food) to Southern fare (Jimmy Madison’s)—there are so many excellent choices up one side and down the other in the ‘Burg’s designated Downtown Culinary District. 6) Celebrate Hamburger Month. 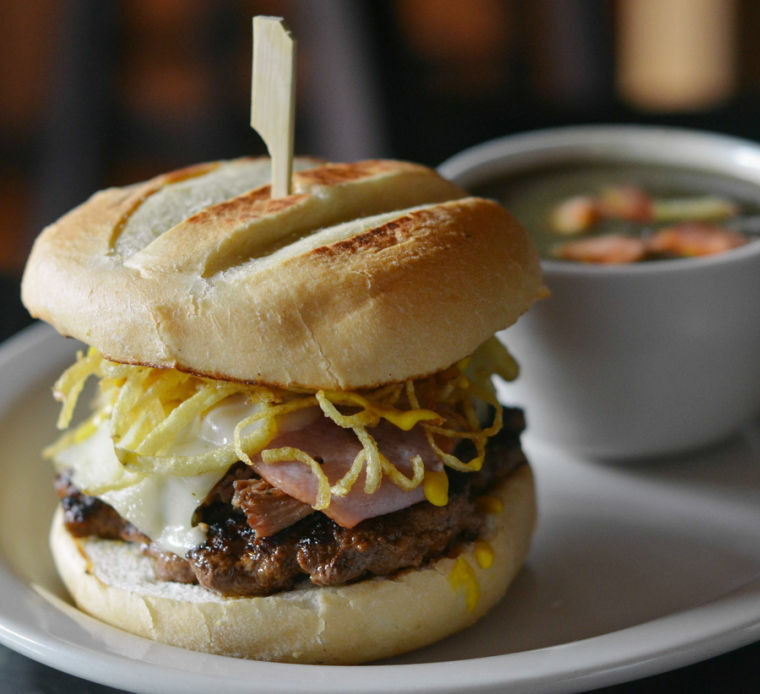 At Cuban Burger, chef Steve Pizarro draws on his Cuban heritage to make the kind of burgers they serve in Havana and Miami. Their specialty is made of beef chuck and pork, spiced with smoky paprika, Worcestershire, and ketchup, served with a helping of matchstick fries, all in a soft potato bun—and has just made the curated Bucket List of Must-Eat Local Foods compiled by Edible Blue Ridge magazine. And don’t forget Jack Brown’s Beer and Burger Joint, ranked #19 of “50 Best Burger Joint’s in America” (Business Insider), where you can also choose from over 100 craft beers made just around the corner or around the world. Go to www.visitharrisonburgva.com for a list of other places you’ll find a great burger—and see if you can spot the locals!